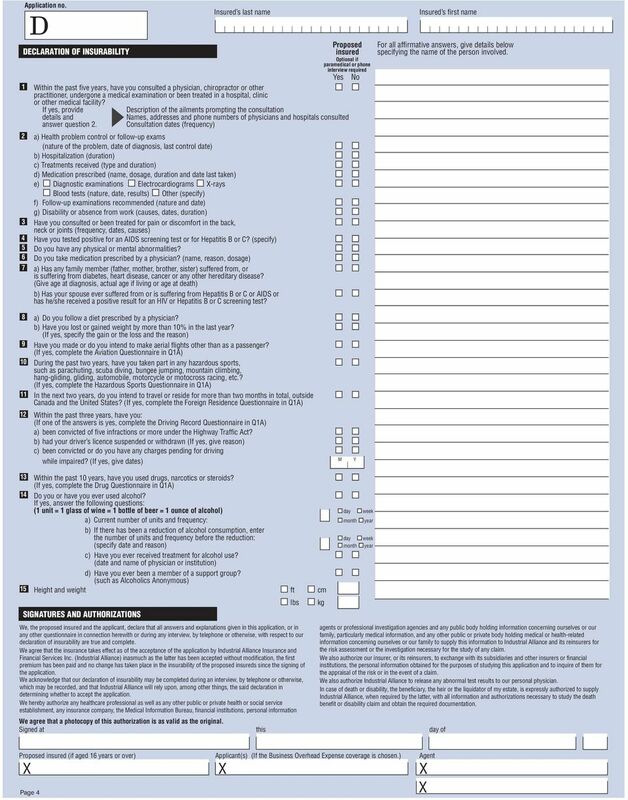 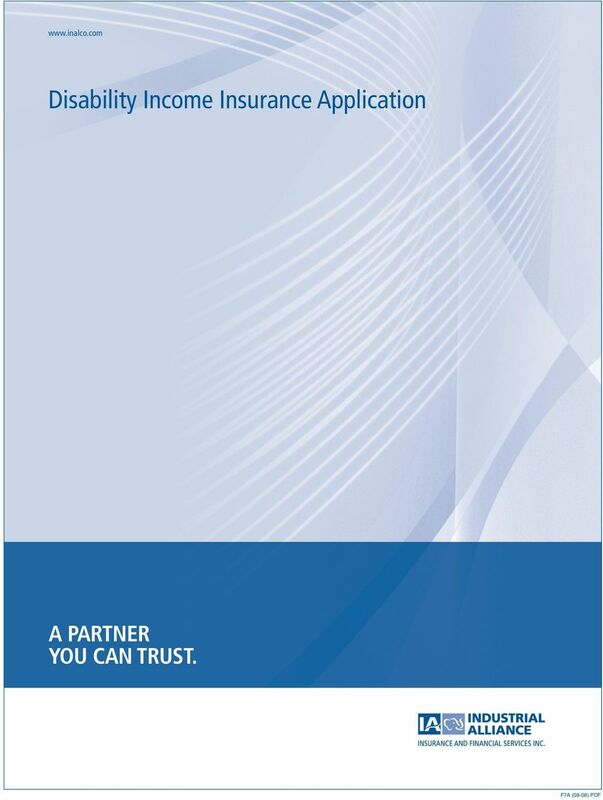 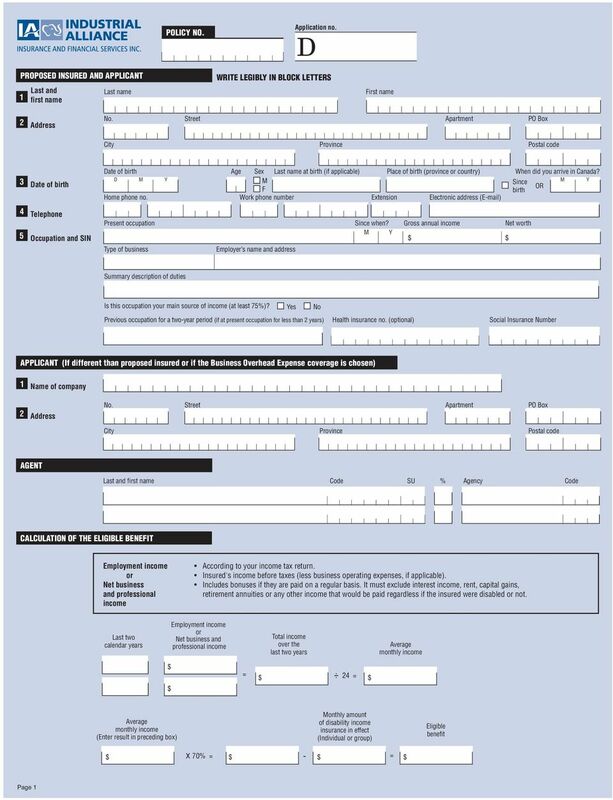 Download "Disability Income Insurance Application"
8 PRE-AUTHORIZED CHEQUE: STAPLE SPECIMEN CHEQUE HERE A specimen is not required if you answered Yes to question. 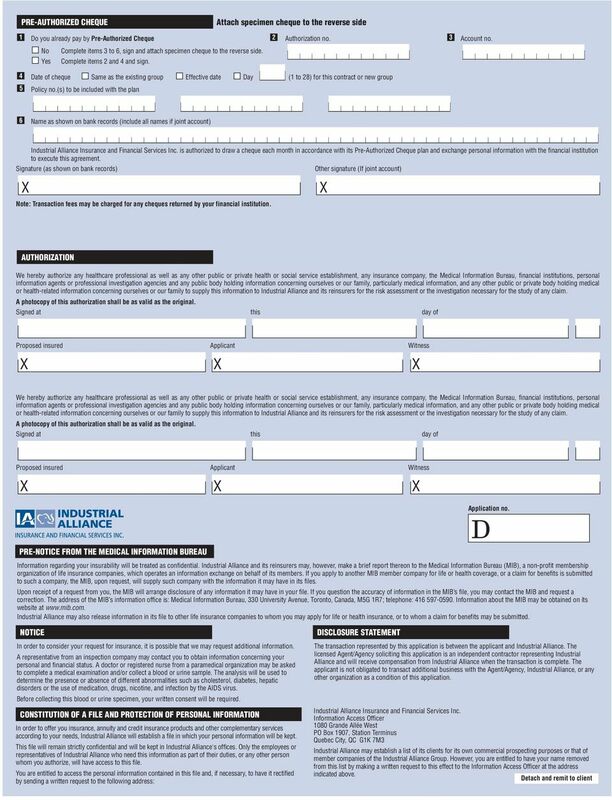 For a joint account, all signatories must sign this authorization on the back. 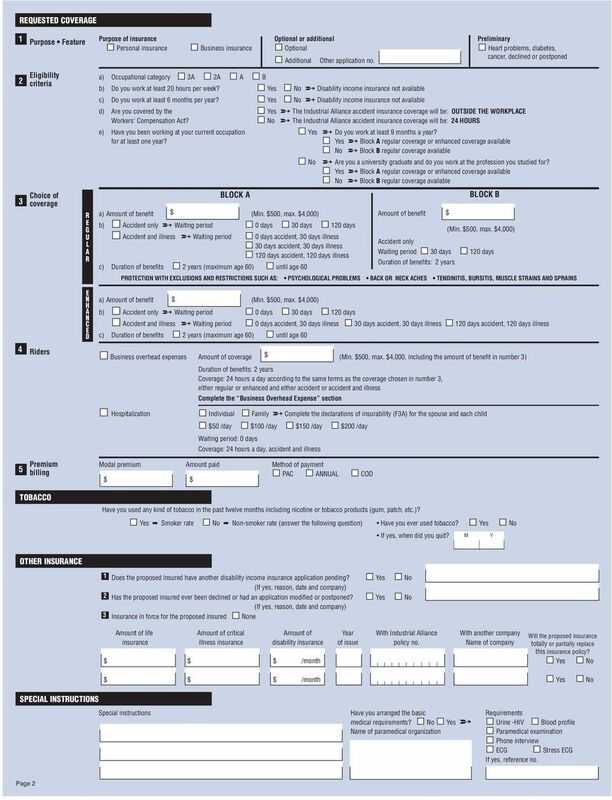 For a company, the form must be signed by an authorized person. 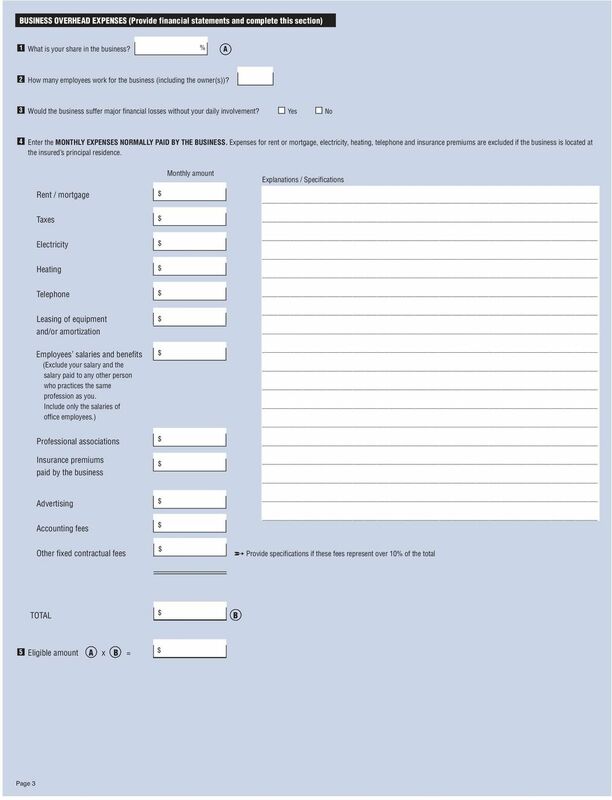 If other policy numbers are to be included under the same PAC plan, give all numbers under item and attach a copy of the present to a Request for change form.